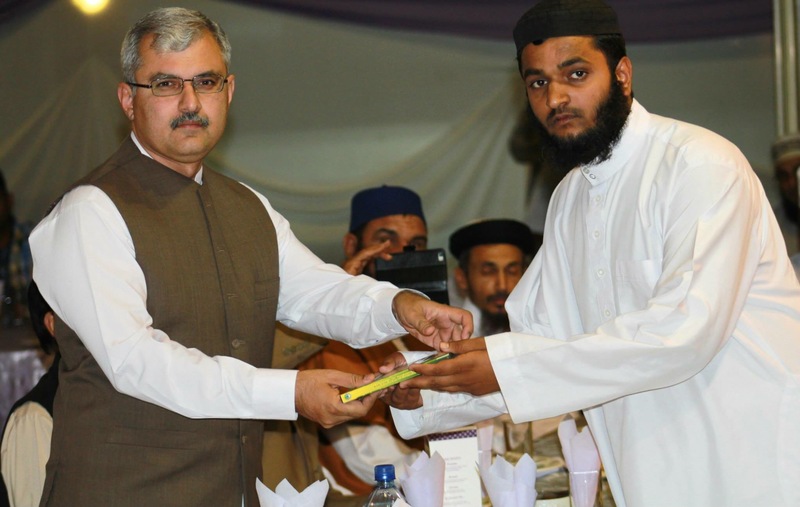 On Friday the 30th of October , the Pretoria Islamic Educational Centre hosted it’s 17th Annual Fund Raising Dinner at the Laudium Community Hall. The program commenced after Magrib Salaah. In attendance were many dignitaries and scholars from the length and breath of South Africa as well as a large number of members from the local community who had come out to support the institute. A portion of the large number of Scholars & Dignitaries that were present at this event. The program was a series of presentations by the diverse body of students of the Darul Uloom Pretoria,starting of with Irshaad Rojid (a 3rd year Aalim student) from Durban. 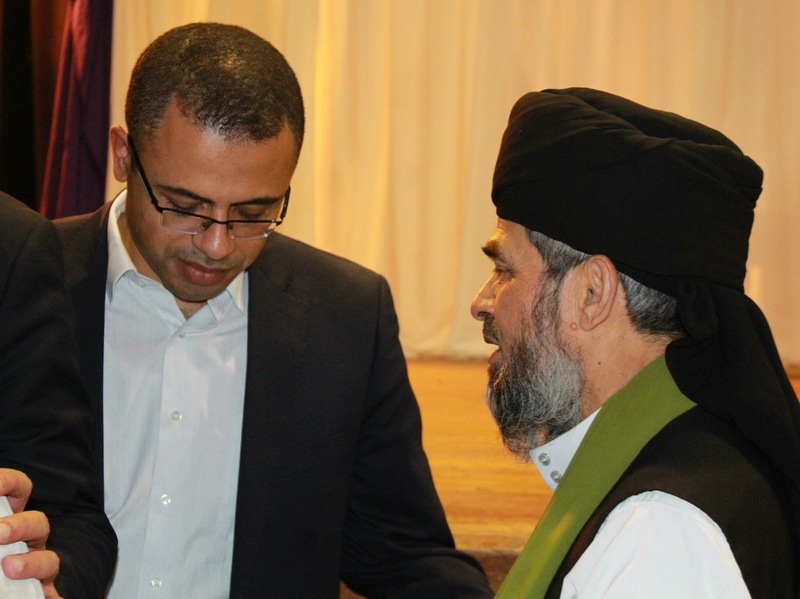 After presenting his opening remarks he called upon Khalid Oraybo (a 3rd year Aallim student ) from Mozambique for the recitation of Quran Kareem. Taking to the stage after this was Hafiz Nadeer Ashrafi (a 2nd year Aalim student) from Mauritius who invited Hafiz Furqaan Nikoria (a 5th year alim student) from Lesotho to render praises of Rasoolulah (peace and salutation be upon him). Before the main course was served some words of advice and gratitude were delivered by one of the final year students and soon to be graduate Hafiz Ali Bemath, who hails from Ladysmith. 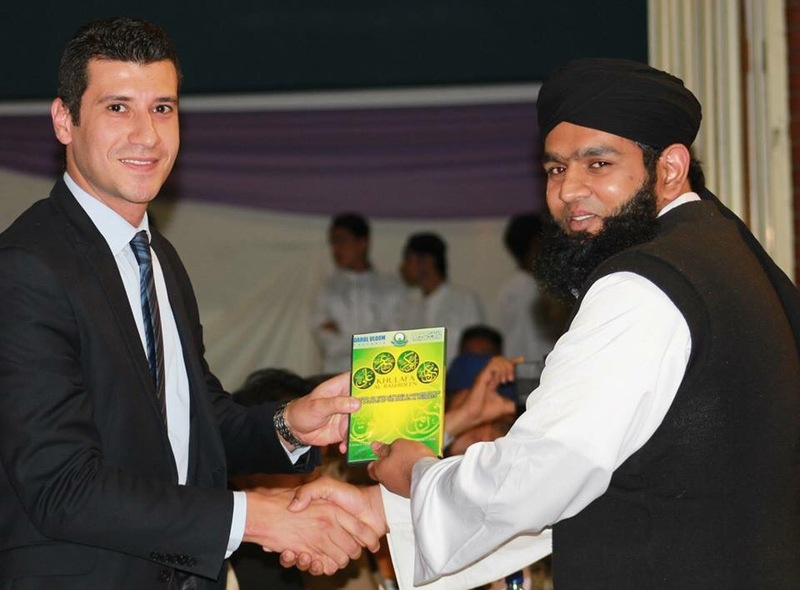 He was introduced to the audience by Azhar Ahamad Ali (a 4th year alim student ) from the West Indies. 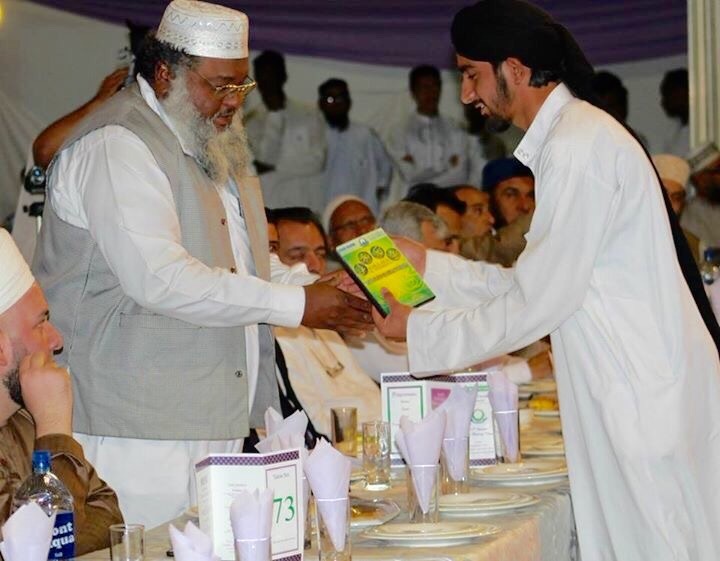 After an emotional and heart touching speech, the vice-prinicpal Hafiz Ismail Hazarvi took to the mic and invited the graduating class of 2015, both, the Hifz Ul Quran and Aalim students were introduced to the public. 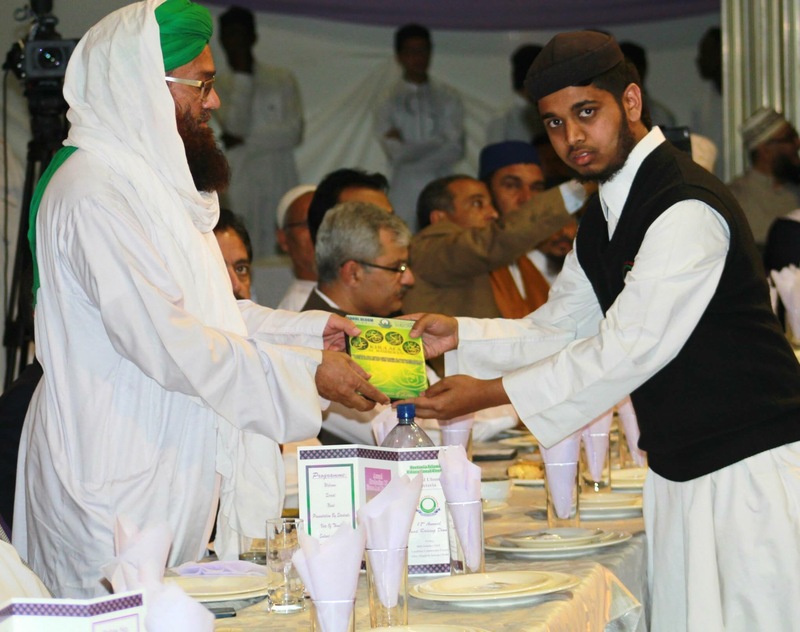 Students that had successfully written the examination’s of Al-Azhar (both in the Al-Ibtidayia (primary)and Al-E’dadiya (secondary) levels) in 2014 also had the honor of presenting themselves on the stage. Irshad Rojid, who also volunteers as part of the Darul Uloom Pretoria Media Division, then returned to announce the launch of Khulafa al Rashideen: an audio CD of lectures and Manaqib about the life and status of the Khulafa. The excited students that assisted in this production were then called upon to present the CDs as gifts to the large number of scholars and dignitaries who were present. The Album is now available at the Darul Uloom Pretoria’s head office and will soon be available at other stores and branches In Sha Allah. The vote of thanks and heart felt appreciation to all the dignitaries and scholars as well as all the attendees was offered by the principal Mufti Muhammad Akbar Hazarvi. As the program drawed to an end, The Salat us Salam was led by Sayed Hussain from Harrismith and the final dua by Sulyiman Moosa from Malawi. We thank all the educators, students, committee members and volunteers for their parts in making this event a great success. May Allah Almighty reward them and may he grant the institute success and prosperity so that it may continue serving the glorious religion of Islam and humanity. Note: The 26th Annual Graduation wil be held at Laudium Community Centre on the 21st and 22nd November 2015. Watch this site for further updates.